- and brings out the texture of birch bark on the tree trunk. The floodlights are close to this tree. 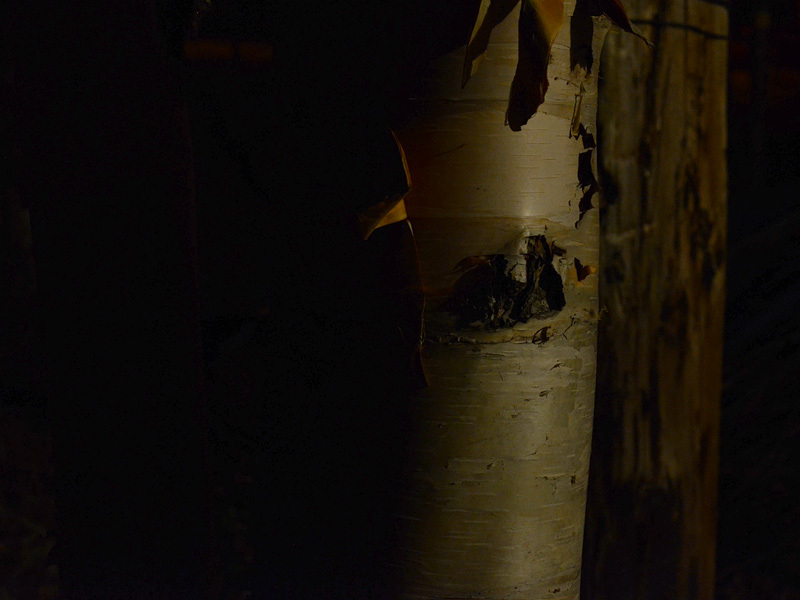 The highlights and shadows from the floodlights makes the texture of the birch bark and the form of the tree stand out in the darkness.